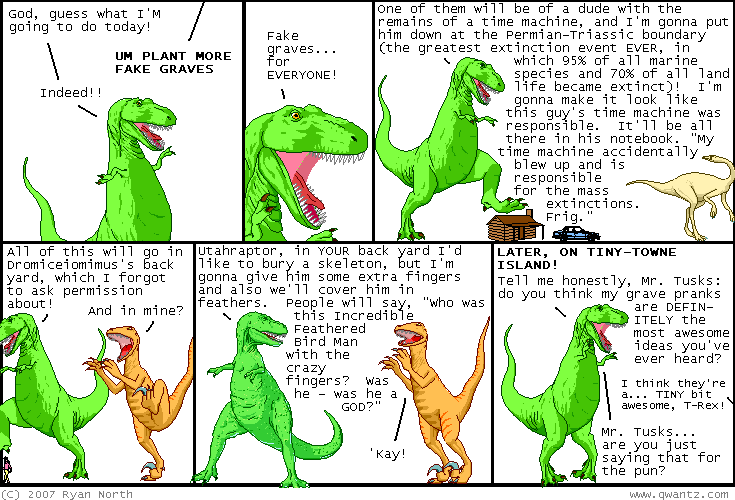 Dinosaur Comics - October 25th, 2007 - awesome fun times! October 25th, 2007: Guys. T-Rex might have had three fingers. I - I don't know what to say. Also, check out The Motley Fool took the investment comic from a few weeks ago and made an article out of it! Sweet. If you are looking for some free investment advice then, hey! Check THAT out.